PESA backs the efforts of Senators Lisa Murkowski and Heidi Heitkamp in their introduction of the American Crude Oil Equality Act, a bill that has also enlisted the support of Democrat Senator Joe Manchin, to end the 40-year-old ban on U.S. crude oil exports. A new companion bill introduced today aims to strike any mention of or reference to prohibitions on crude oil exports already written into federal law, as well as clearly define the President’s future powers to restrict exports. 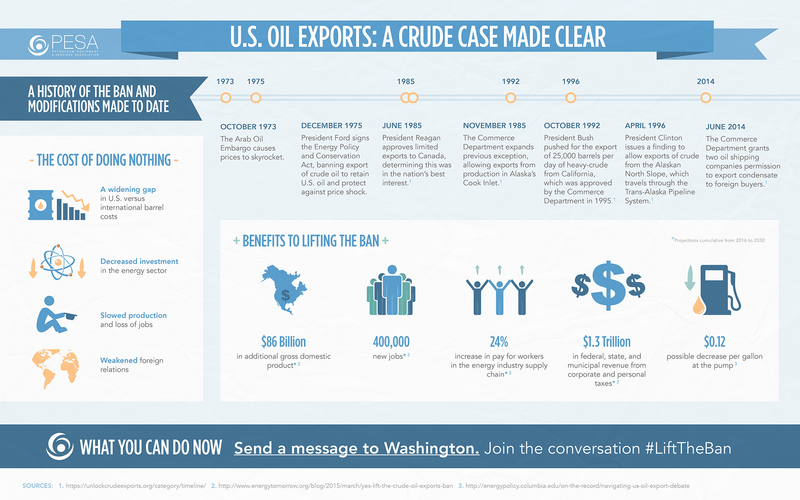 See the impact of the oil ban and take action below.